We have our first clutch of runner duck eggs in the incubator – fingers crossed we will have some fluffy duckings to take care of sometime later this month! What lucky runner ducks we have. 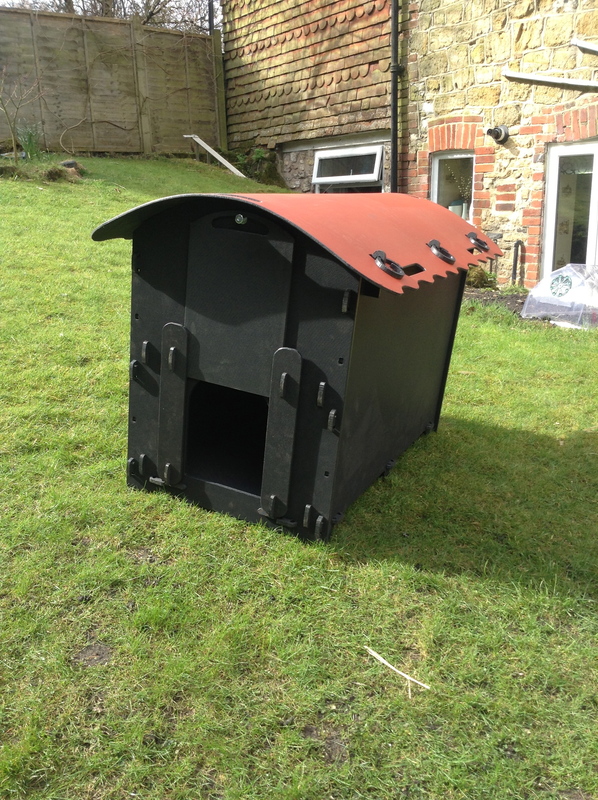 The new eco duck house arrived this week and it’s great! Each house is made to order entirely out of recycled plastic with a roof that opens easily for cleaning and vents on the back. The house keep the ducks cool in the summer and warm in the winter. The house has definitely surpassed our expectations and I think the chickens will have their own version in the very near future. If anyone wants the contact details for the people who made it for us give us a shout. This one was £150 including delivery (April 2013) and you can have the option to have it delivered fully assembled at no extra cost. 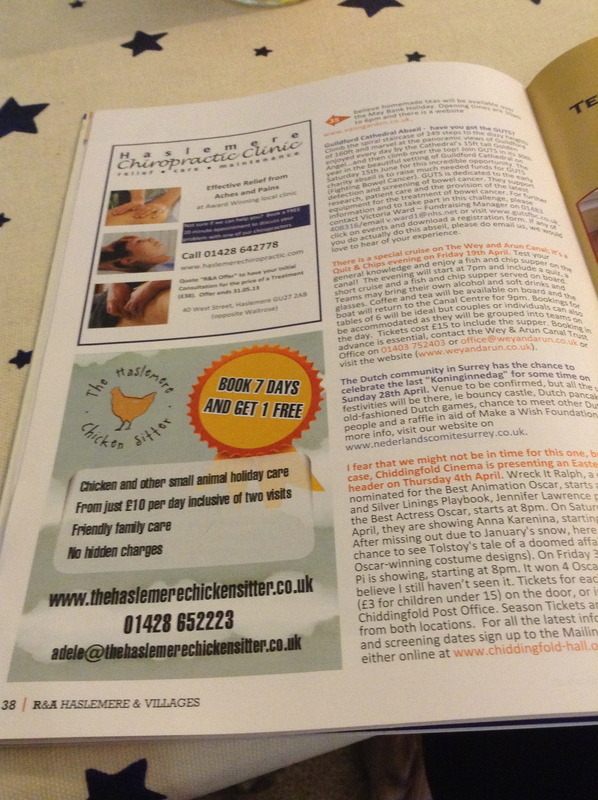 Did you spot us in this months Round & About Haslemere magazine? 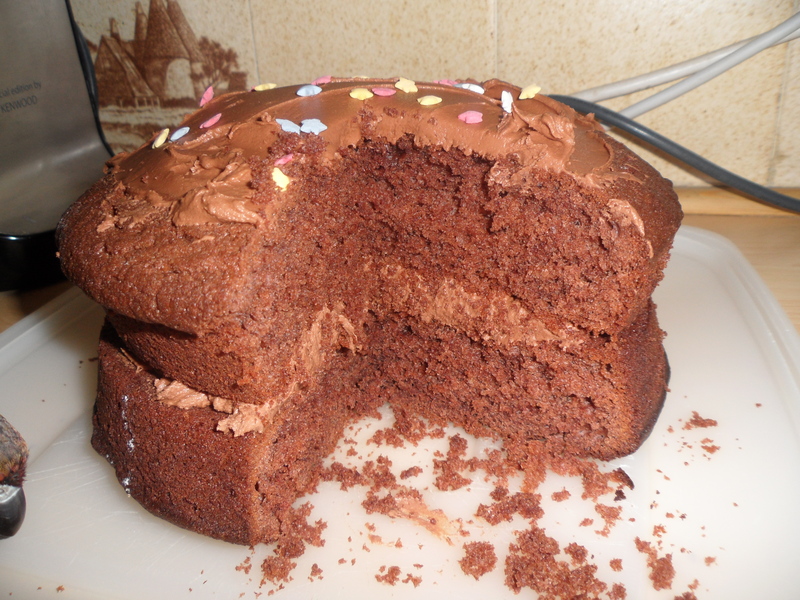 Here it is, and yes duck eggs really do make cracking cakes! Can anyone spot a cheeky little beak in the bottom left side of the cake photo? Georgie the parrot is rather partial to a cake crumb…..
Well, it seems that my sickly chicken is on the mend. 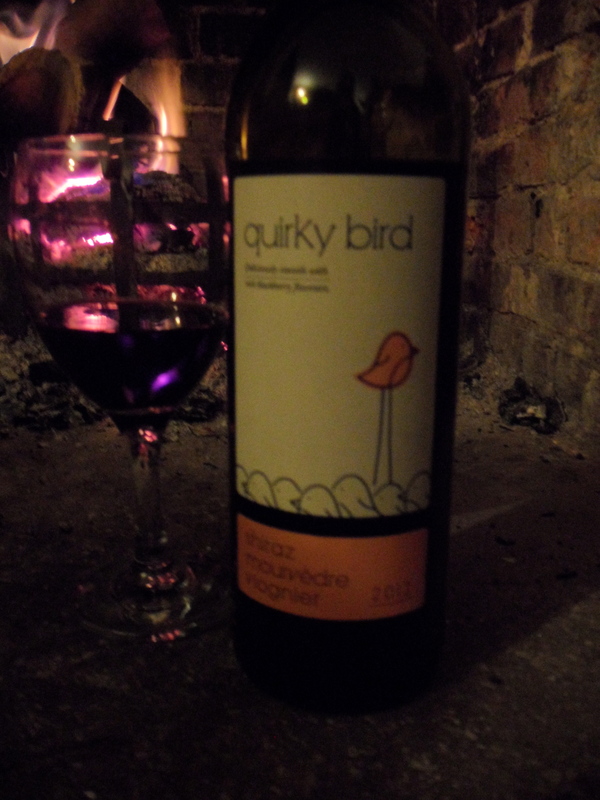 I think i’ll celebrate with a glass of wine….. 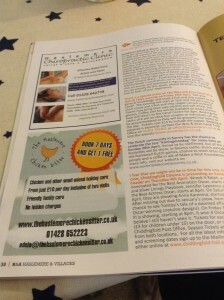 The Haslemere Chicken Sitter – pet sitting and pet holiday care around the three counties border of Surrey, West Sussex and Hampshire. 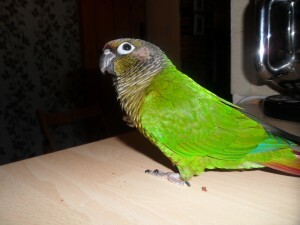 We can cover all holiday requirements for chickens, ducks, guinea pigs, rabbits and many other small home or garden animals. Unlike many similar services we charge per day rather than per visit. Contact us now for a quote or for further information. Our new website is under construction but we can still be reached by email (adelecaton@gmail.com) or phone (01428 652223) and are able to provide quotes upon request.